There are three times of the year when marriage proposals receive a boost - Christmas, New Year and Valentine's Day. When emotions and merriment are running at a high, it seems there is a rush in the number of people stooping to bend one knee. Whilst the sapphire engagement ring given to Kate by Prince William has seen a wealth of replicas appear on the market, the traditional diamond continues to be the most popular engagement stone. Recent press coverage suggests the minimum one should spend on an engagement ring is £1000. Clearly such an expense is considered a worthy price to pay for a lifetime of commitment. So caring for such an extravagant outlay should be equally as important - but considering engagement rings are worn everyday how many times would you think about deep cleaning it to ensure its blingability? Diamonds are extremely durable. More often than not it is the case or settings that gets damaged and cause stones to be lost or chipped. 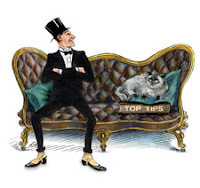 So we advise you to take your ring to a professional jeweller from time to time, to have the setting inspected. Store your jewellery carefully. Keep diamonds separate from all other jewellery as they could scratch semi-precious stones, which are often much softer. Ideally store pearls away from diamonds in microfibre pochettes from Town Talk Polish. 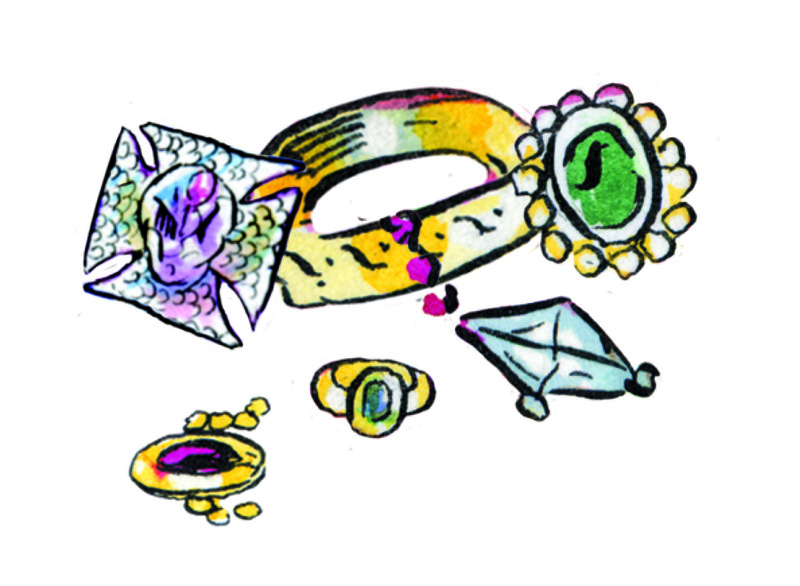 Everything from body lotions to soap suds, garden dirt, household dust or oils in your skin can make a new engagement ring appear dull and lacklustre. 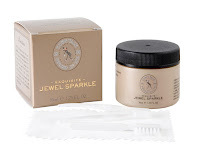 Diamonds are best deep cleaned every few months in Town Talk's Jewel Sparkle or Impressive Jewellery Spray. For everyday shine, keep a Diamond Polishing Cloth to hand, it'll make any precious item sparkle in a moment and since the fabric is washable you can use it time and time again. So if you're considering popping the question, pick up a Town Talk diamond care product online or from a top jeweller, to go with your engagement ring, and you'll really show how much you care! OWN BRAND cloths are a special way to make a huge difference to your brand, helping to position you as the preferred retailer: remember small details mean big loyalty! 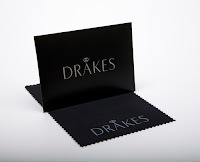 Any of my jewellery cleaning cloths - gold, silver, pearls, watches or microfibre cloths - can be made in your colours, printed with your logo and packaged to seamlessly mirror your brand. For the ultimate wow factor this is a no-brainer. Does your jewellery have the holiday blues? If you've recently returned from a summer holiday and your jewellery is looking a bit lacklustre from the application of suntan cream, or swimming in a chlorine pool or salt water, then revive it with a swift clean and polish with a Town Talk Polish product - you'll be surprised at the difference. Town Talk Polish products are the finest in the world and made exclusively in Great Britain, so if you have any questions about the best way to clean jewellery you can call my team on 01204 529981 or email me on info@towntalkpolish.co.uk direct. Wishing you a sparkly week! If you haven't yet tried Town Talk Polish - the finest jewellery cleaning and polishing products - then here is the perfect offer to get you started. Visit Town Talk Polish at the CMJ August Trade Event at stand 249, Hall 2 and find out more about an incredible show offer where you can save up to 33% off the normal price of a Town Talk starter kit. This quick and easy-to-use sparkle dip is ideal for cleaning gold, platinum and diamond jewellery, and most precious stones. Each kit comes complete with dipping basket and brush. Town Talk’s high quality Jewel Sparkle is a best seller and gives stunning results every time. This is designed specifically for cleaning silver jewellery and will remove all traces of tarnish. 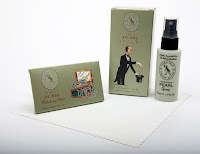 Each kit comes with a dipping basket, brush and silver polishing cloth. A joy to use with excellent results. 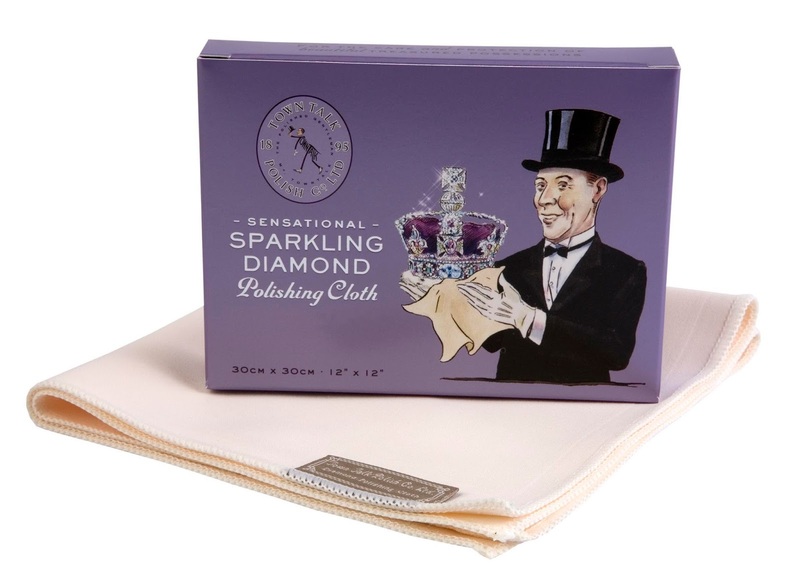 These exceptionally fine grade Polishing Cloths will give a deep shine to all gold jewellery. A must have for all jewellery stores, they offer the simplest way to keep gold jewellery looking like new. Don't wash them – and they'll last for ages. 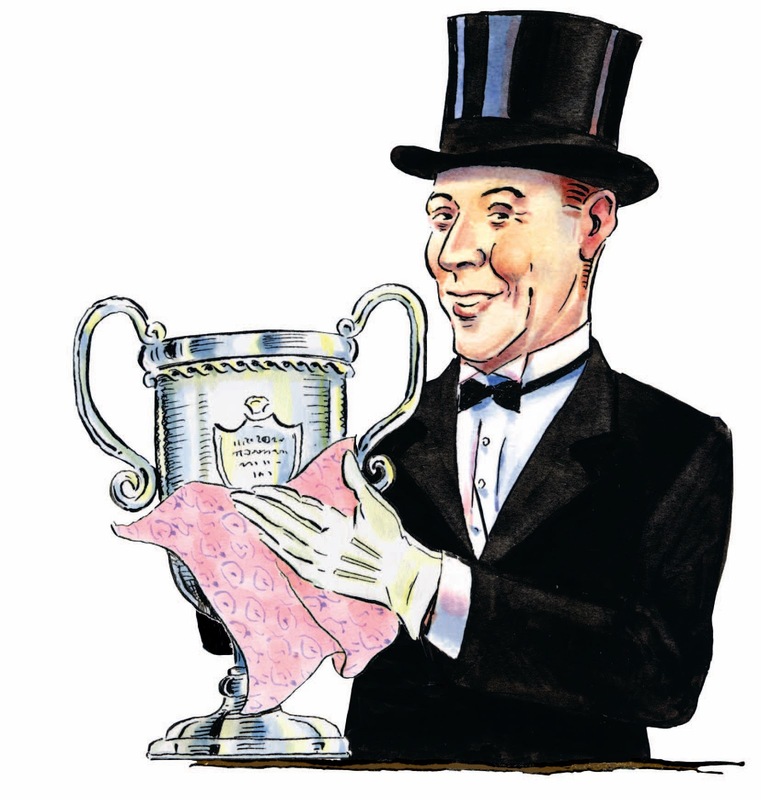 Town Talk's original Silver Polishing Cloths are made from 100% high-quality cotton impregnated with a unique cleaning and anti-tarnish agent. All that's needed is a gentle rub from time to time and your silver will be kept clean and bright. Amazing results every time. 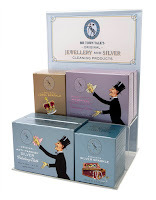 Made of washable, high quality Microfibre, this multi-purpose Jewellery Polishing Cloth is ideal for cleaning all jewellery including more delicate items such as pearls and watches. Removes all surface marks restoring sparkle and shine. *Terms: Special starter kit offer valid for new customers who visit the Town Talk Polish stand at the CMJ August 2016 Trade Event, discount cannot be applied after the show has finished. 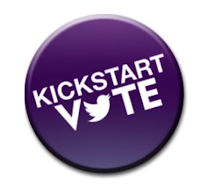 **Starter Kit Offer excludes CMJ brand and own brand. For the finest jewellery cleaning and polishing products choose Town Talk Polish. Visit Town Talk Polish at exhibition stand L32 ,IJL 2016, and find out more about this incredible show offer where you can save up to 33% off the normal price of a Town Talk starter kit. 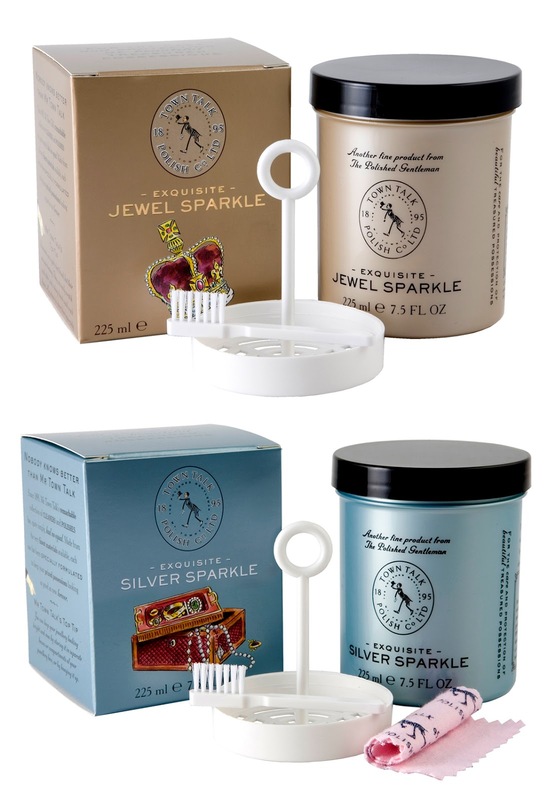 These quick and easy-to-use sparkle dips are ideal for cleaning platinum, gold and diamond jewellery, and most precious stones. Each kit comes complete with dipping basket and brush. Mr Town Talk's high quality jewellery dip is a best seller and is also available in a mini 50ml size. Made of washable, high quality Microfibre, this multi-purpose Jewellery Polishing Cloth is ideal for cleaning all gold and platinum jewellery, silverware, spectacles and delicate surfaces. Store in the bag after use. These exceptionally fine grade Polishing Cloths come in a variety of sizes, including a tiny one for travellers. They're wonderful for everyday use, and for cleaning heavily tarnished items. Simply rub the tarnished area with a moistened corner of the Cloth before polishing it with the dry part of the Cloth. Don't wash them – and they'll last for ages. 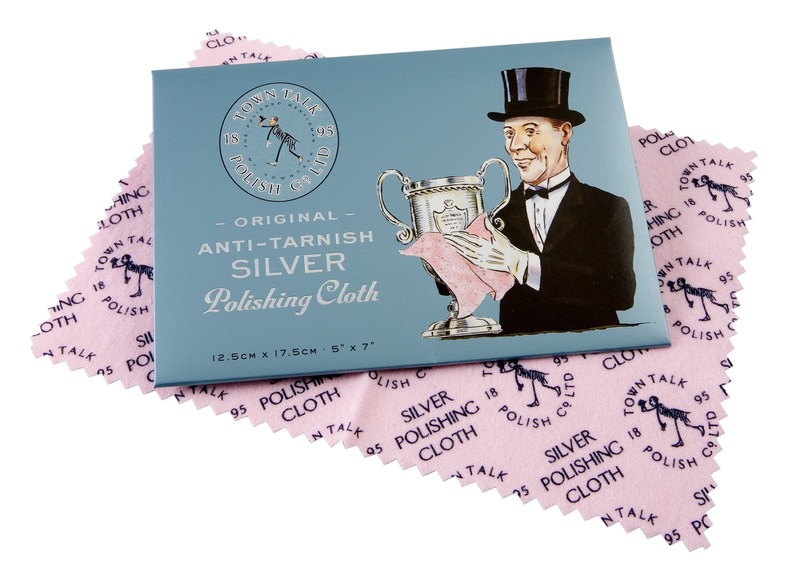 Town Talk's original Silver Polishing Cloths are made from 100% high-quality cotton impregnated with a unique cleaning and anti-tarnish agent. All that's needed is a gentle rub from time to time and your silver will be kept clean and bright. We also have wallet-size and handbag-size versions, which are ideal for people who travel. *Special offer valid for customers who visit the Town Talk Polish stand L32 at International Jewellery London 2016 only, discount cannot be applied after the show has finished. As an ambassador for the care and protection of treasured possessions, I've teamed up with International Jewellery London 2016 to help celebrate the People’s Choice Winner for most promising, emerging KickStart jewellery designer at this year’s trade show. Who will lift the prize? International Jewellery London (IJL) is the UK’s leading event for the international jewellery trade and a show that my team and I exhibit at every year. To showcase talent and future jewellery trends, ten emerging designers have been selected by the National Association of Jewellers and IJL as part of their KickStart 2016 Initiative. Now one of those ten will be selected as the People's Choice - voted for by the trade. The prize is prime space at IJL 2016 in the prestigious Design Gallery. What's more Town Talk is designing a consignment of bespoke cleaning cloths for the winner, complete with their own logo and in their choice of colour to seamlessly match their brand. Voting takes place from now until 30 June 2016 for the KickStart People’s Choice Winner, to be announced at the show. The designers have been selected from across the globe and demonstrate a wide range of skills, style and techniques, making this a truly international lineup. 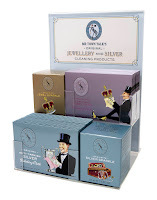 As a worldwide exporter I already supply leading jewellers and retailers with Town Talk Polish jewellery care products in over 40 countries, often niftily disguised under private label. My team tailors jewellery cloths for different materials, so whether the winner specialises in gold, silver, gems, pearls or any other precious metal or stone, we can manufacture a cloth to effectively clean, polish and protect it. 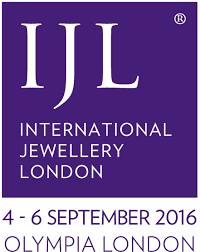 We will be presenting the winner with his or her cloths at IJL 2016, which will be very exciting. What's the appeal? 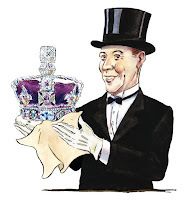 Well, many of my own brand jewellery customers use cloths to add value to luxury item sales at a relatively low cost or to grow revenue by selling them as complementary care products.